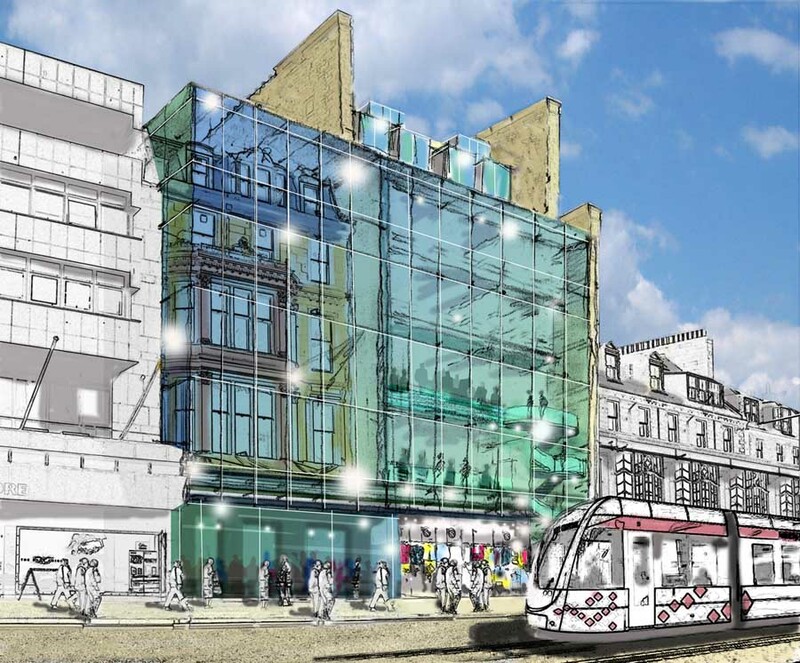 Belfast-based developer Deramore Property Group has awarded the construction contract on a £35 million hotel development on Edinburgh’s iconic Princes Street, designed by Archial Architects. 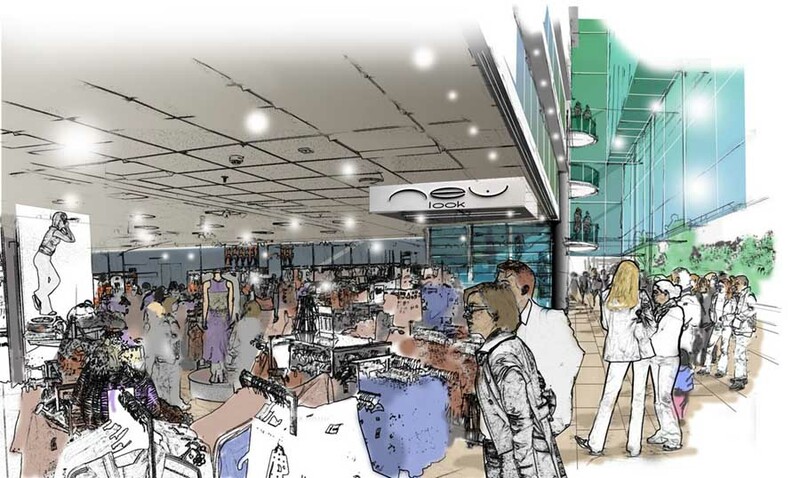 Deramore has awarded Gilbert Ash contractors the construction contract for the development which involves the partial demolition of existing listed buildings, to make way for a new 30,000 ft flagship retail store for New Look retailers arranged over basement, ground and first floors. The five storey upper floors will accommodate a 97 bedroom hotel for Whitbread-owned Premier Inn which boasts spectacular views over Edinburgh Castle. The development will be a welcome addition to the west end of the city’s famous Princes Street. 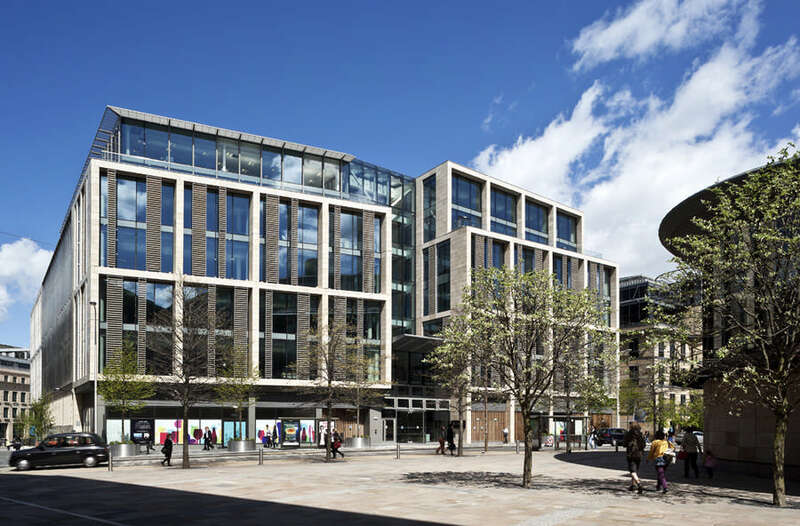 The strip out of the retail areas of the site at 121-123 Princes Street began in December, with the main contract and partial demolition of the existing buildings due to start this month. The development will take two years to build and is set to open in 2012. The scheme is expected to create more than 100 jobs during construction and up to 200 more jobs for retail and hotel staff once it is open. 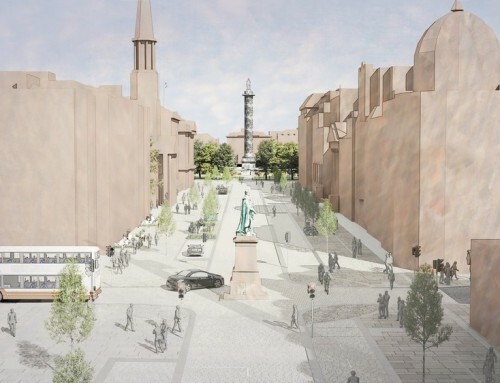 Architecture and Design Scotland (ADS) criticised the proposal, saying that the 103-bedroom hotel was “not of the quality that we would expect” for the city’s historic thoroughfare. 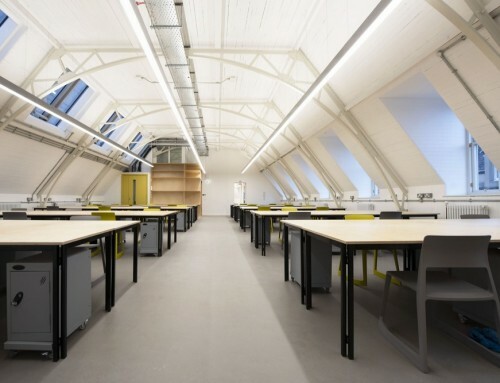 The ADS report said: “The project team could be more aspirational in the way in which they combine old and new, and insert a new building type into a historic context. 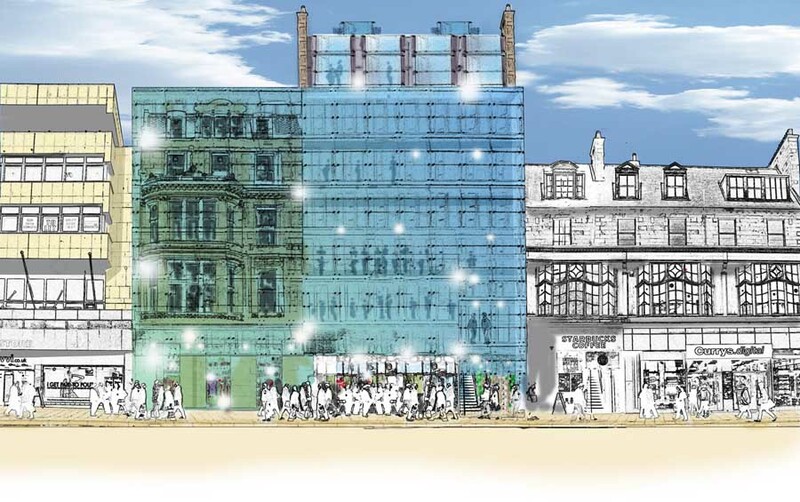 The first new hotel on Princes Street for 50 years under threat from heritage groups. The Deramore Property Group has submitted a planning application to redevelop 121-123 Princes Street, transforming these buildings into an exciting new retail space and high quality hotel accommodation on the upper floors. The site for this development is easily recognisable as it includes the building completely covered by scaffolding which, owing to the dilapidated state of the stonework, has been an ugly but necessary appendage for more than five years now. 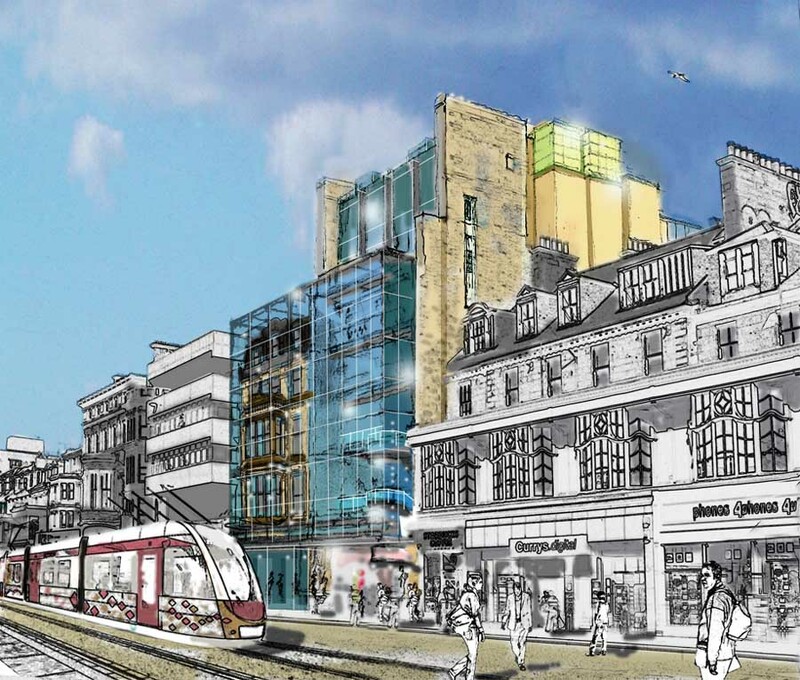 “We are delighted to submit our proposals for bringing much needed new retail and hotel provision to Princes Street and welcome the support received to date from our extensive consultation process.. Unless and until the condition and constraints of this historic and high profile site are fully and imaginatively addressed, Edinburgh will never have her best dress on. In finalising their design proposals, the Deramore Property Group has sought to address the site’s context, history and heritage and physical condition in order to create an innovative solution that is both respectful and provides a positive, modern addition to Princes Street. Deramore is clearly demonstrating their commitment to the high quality of design which Princes Street is worthy of, delivering a dynamic scheme which will guarantee a vastly improved retail offering, attracting shoppers towards the West End, plus an exciting new hotel destination at the very heart of Princes Street. 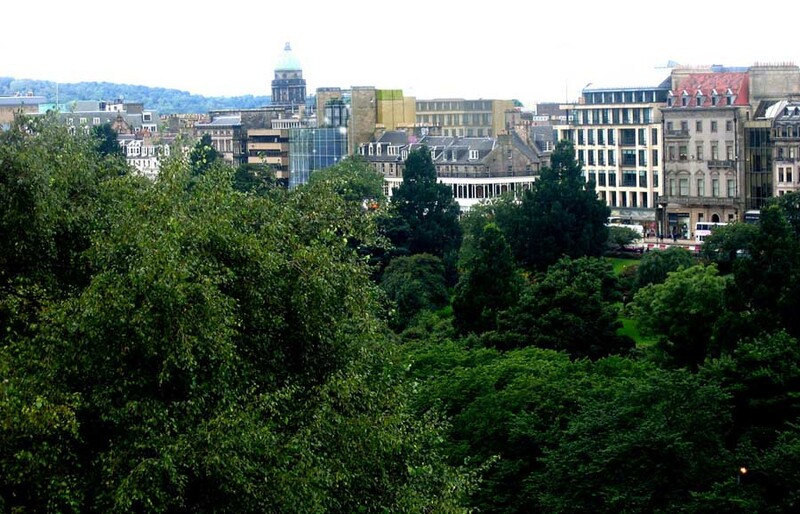 The City of Edinburgh Council has adopted a concept known as the “String of Pearls” as part of its long term vision for the regeneration of Princes Street. 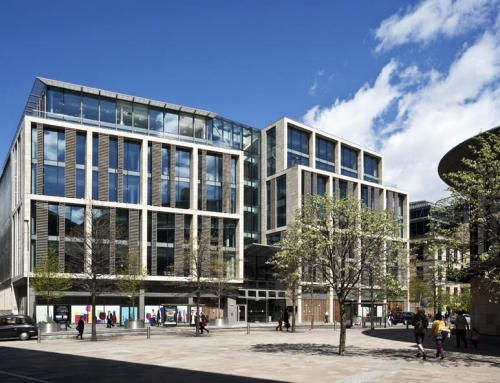 “The design provides a dynamic new image for this section of Princes Street, with a lively mixture of quality retail and hotel, revitalising the world class reputation of this unique setting. The design principles of the proposals have been successfully implemented in other world class European cities such as Berlin where historic buildings have been treated in a respectful yet modern manner enabling historic buildings to be retained and revitalised, including via the provision of greater permeability, both horizontally and vertically, and incorporating high quality glass treatments. 121-123 Princes Street would, for instance, have the capacity to be illuminated appropriately in accordance with special events and celebrations such as the Edinburgh Festival Fireworks, Capital Christmas, Edinburgh’s Hogmanay and charity events like the Moonwalk. 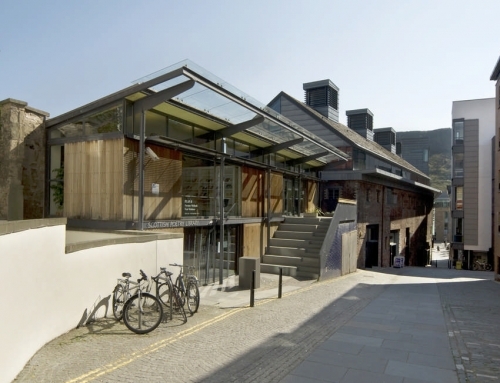 A similar example to be seen in Edinburgh is the Festival Theatre where the front of the original theatre was removed as part of the theatre’s redevelopment and an attractive new glass frontage put in place. 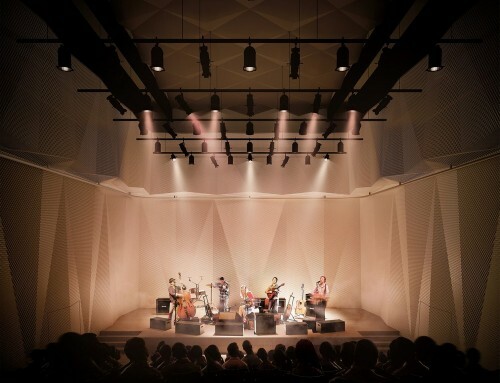 This invites the eye towards the theatre where the anticipation and enjoyment of theatre goers and proud friends and families at graduation time is revealed by seeing into all levels within the building. Deramore’s proposals comprise approximately 27,000 sq ft of new retail space on three floors (basement/ground/first) and a new high quality 103 bedroom hotel on the further upper floors – the bedrooms and bar/restaurant elements of which will offer sensational views over Edinburgh Castle Princes Street Gardens. The retail space has been pre-let to New Look, who will open a flagship store at this location whilst retaining their store within Princes Mall. Whilst the existing consent could deliver the much needed improved retail capacity, Edinburgh also has a target to increase its provision of hotel bed spaces by 5000 rooms by 2015 and it is widely believed that a hotel as opposed to an office, would contribute far more to the long term sustainability and success of Edinburgh as an attractive and internationally competitive city centre. 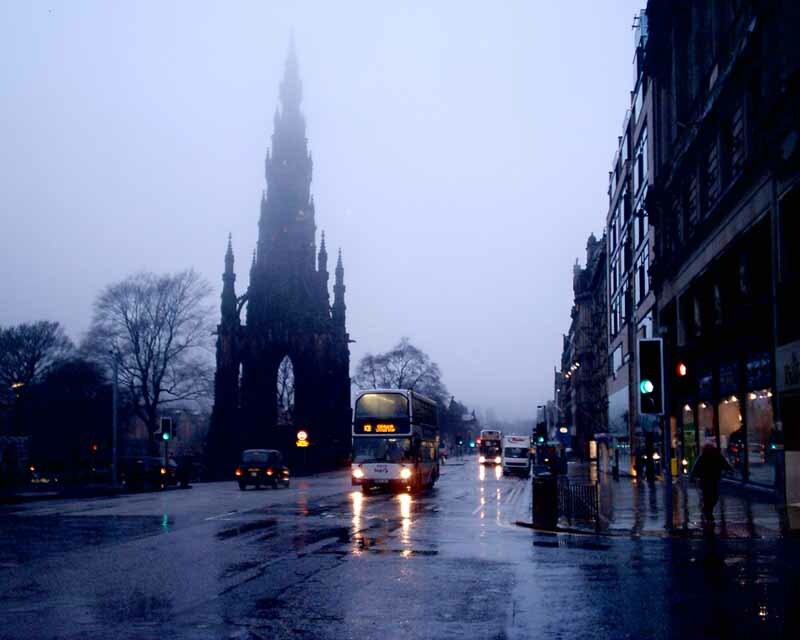 “Successful business tourism is a vital element of the Edinburgh and Lothian’s economy. We operate in a highly competitive marketplace with more and more cities around the world investing in their infrastructure in order to capitalise on this highly lucrative and fast growing business. 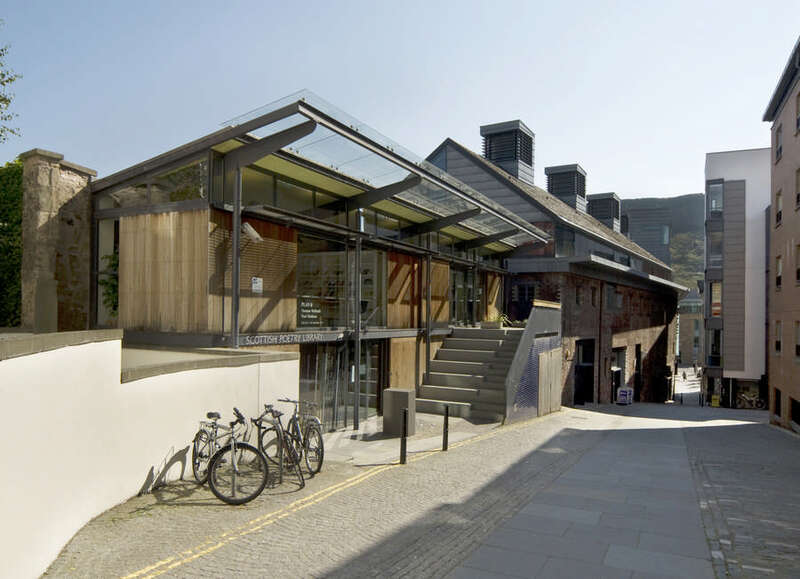 Edinburgh must invest in its conference infrastructure if it is to maintain its competitive position in relation to other conference destinations which are increasingly well organised and well resourced. There is an existing planning consent to redevelop the site by way of demolishing 129 Rose Street Lane South (unlisted) and 131-133 Rose Street Lane South (C Listed), and to retain and reuse 121-122 and 123 Princes Street (both B Listed) within a mixed scheme with retail use at basement, ground and first floor levels and office use on the floors above. Under the new proposals, the Georgian building at 123 Princes Street would be retained in its entirety. The gable ends and chimneys of the Victorian building at 121-122 Princes would also be retained. 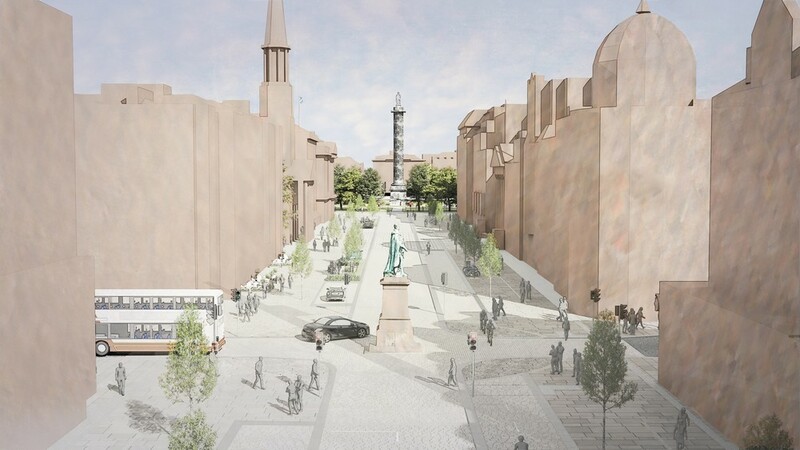 Whilst the existing consent could provide much improved retail units as are demanded by modern retailers it does not provide for permeability through the site as required by the Princes Street Development Framework. 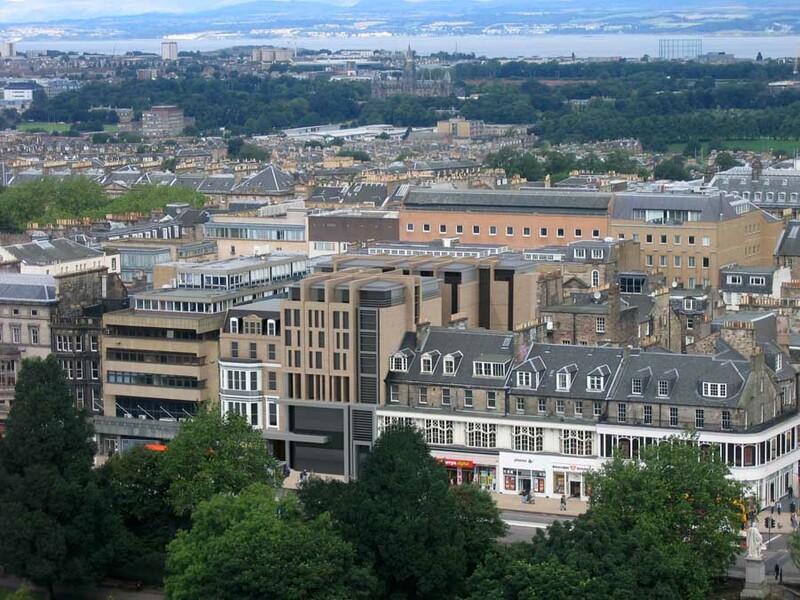 In the pursuit of sustaining high value business tourism and international conference business, the city of Edinburgh has a target to deliver 5000 new hotel bedrooms by 2015. 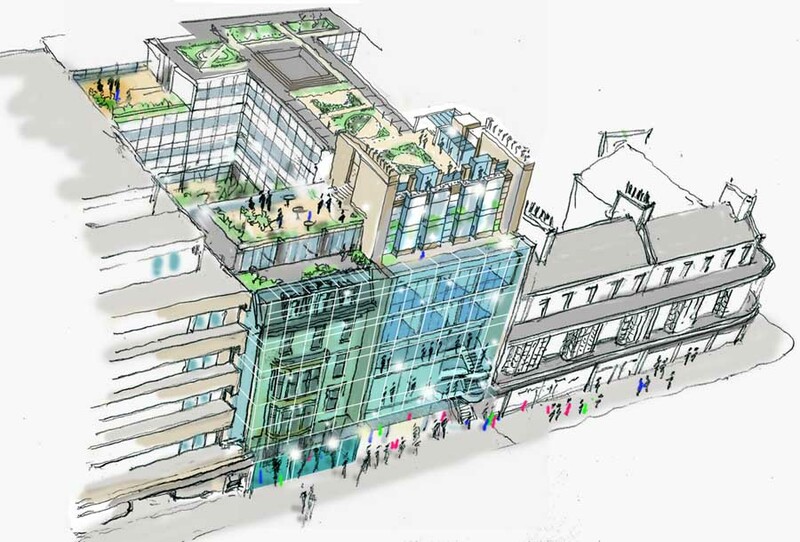 A new hotel development located on such a prime site within Princes Street will add hugely to Edinburgh’s business and leisure tourism offering within an ever increasing international competitive market.